Monica Goldson | Help Change The World. The Future Of The County Is Now. Board of Education Chairperson: Verjeana M. Jacobs. Superintendent of School /CEO: Dr. William Hite Jr. These are some of the issues Reform Sasscer Movement has been trying to have the Board of Education (BOE) members see clearly and fix without success. The amount involved here is not the issue. It will take care of itself. It always does. The real concern is a wonderful, innocent child died, who would have been 17 and a Sr. in High school this year. This family lost a very much loved member of their family; and others lost a very cherished friend. Quite possibly the world lost a future scientist with the cure for cancer, a doctor who perhaps would have saved your grandchild’s life one day! However, the open discussion this case has triggered is a healthy start to perhaps changing policy to prevent this from ever happing again to our school aged children that must take public transportation to get to school. It’s unfortunate that this had to happen, but the bigger tragedy is it took a jury hitting the PG County school board upside the head with a 2 x 4 before anyone would take notice and even have a discussion on this matter. The corrupt and inept PG County School Board is only costing its residents more money. Surely, the arrogant BOE lawyers could have settled this case a long time ago, but they chose to drag it for their own selfish motives after being rewarded $5million “No bid” contract. No amount of money…no amount of time passing will make that heartache go away. The only way to get some folks attention and force change is to show them how outlandishly dilapidated they were in their duties. This PGCPS transportation system has been in dire need of an overhaul for a long time. It is very sad but some of the bus drivers are involved in childish political games within the system. When The WaPo printed a story about a 5 year old who was put on the wrong bus, then dropped off in the middle of nowhere and left to fend for herself, there was little outrage. When there is little outrage, there is little inspiration or motivation to make improvements. It’s not about the money as we said before. The jury send a message. Now, perhaps the Prince George’s County District school system needs an overhaul. They now have about $90 million reasons to get motivated to fix what is very much broken. Reform Sasscer response regarding Synthia Shilling. This election year, we’ve used the power of grassroots organizing to shape the Prince George’s County debate and make sure voters know that change is needed in Prince George’s County Public Schools (PGCPS) board of Education. Above all, Reform Sasscer Movement needs to see anyone tied to corruption and in bed with the outgoing superintendent Dr. William Hite jr. shown the door! The list starts with previous High School Consortium Director and now Chief Operating Officer aka Ms. Monica Goldson. The board in charge of Prince George’s County Public Schools (PGCPS) — is dysfunctional, out of control and secretive, Reform Sasscer Movement contend. They have not addressed publicly the serious issues surrounding the chief Human Resources officer Ms. Synthia J. Shilling in particular and her relationship with Dr. William Hite Jr as well as Monica Goldson among others. “The danger is that the fish rots from the head, and if we don’t get the board of education restored to harmony and effectiveness, it will be extremely difficult to sustain that excellence in the staff this coming year.” said a concerned parent recently. “We truly want to see the board returned to honesty and integrity.” said one elected official. “We have a system that went off the tracks and things must be changed” She added. That’s why we have to stop them in their tracks by exposing how their policies would affect thousands of students, staff and their families if elected again and then left unchecked. We’re organizing “Pink Slip” flyering actions toward this November 2012 election where we’ll hand out Ms. Verjeana Jacobs pink slips to make sure voters and the media tell the truth about the Verjeana Jacobs corruption within the Board of Education and her shenanigans. The following issues remain in the minds of many concerned citizens of Prince George’s County regarding events surrounding Synthia Shilling and Dr. William Hite Jr. should answer them before he starts his poisoned chalice in Philly. B.) He has not responded to the allegations in the blogs, which are serious and go to the heart of his ability or lack thereof, to lead. The county and the world is still waiting. C.) By authorising BOE Chairperson Verjeana Jacobs, Chief Legal Counsel Roger Thomas, Chief Human Resources Officer Ms. Synthia Shilling and Roslyn Hawkins to attempt to assassinate character of employees by hurling abuse and attempting pseudo and fake psychological analysis on staff rather than dealing with the contents and substance of our information in our blogs, Dr. William Hite has demonstrated the numerous weaknesses and failures catalogued in our blogs. D.) If or when Thatcher Law firm and others commence retaliation action against Reform Sasscer Movement members, as far as we are concerned, that would be Dr. William Hite Jr doing it. Thacther Law firm is not just Dr. William Hite’s Private lawyers (and money bags and silent nominee in various ventures), the firm is also a self-styled ‘Chief of Staff’. Everything written about Thatcher law firm in the blogs revolves around what the firm did after Dr. William Hite was appointed superintendent of schools and Thatcher law firm started working at Sasscer administrative building. Consequently, as far as we are concerned, in all intents and purposes, Dr. William Hite Jr is Thacher law firm and Thatcher law firm is Dr. William Hite as far as we are concerned. E.) Some of the issues which concerns most parents, staff, students and lawmakers of which Dr. William Hite Jr never shown interest except cover up are: weak oversight, lax ethics, conflicts of interest, no-bid contracts, a lack of transparency. They “I have serious questions about how the board has conducted itself,” Susan said Friday. “I want the people of the PG County area to know that we don’t agree with what they’ve been doing and students suffer after all.” she added. F.) The board must address the long list of potential improprieties identified. We plan on going on a County wide Tour to engage PG Citizens one on one on the most burning issues of the day: unemployment, racism, malfeasance in public office, specifically grand corruption (especially of state and public officers), nepotism and the reemergence of intolerance in PGCPS. As a county, we must ensure that the Constitution is adhered to in letter and spirit by everyone – leaders and ordinary citizens alike! G.) Dr. William Hite Jr must be forced to answer all improprieties identified and pay back the money misused on personal issues. Tax payers must not be left holding the bags. (See the entire list here). G.) And finally, Briant Coleman’s opinion comment published in the electronic version of the Washington post newspaper recently cannot be taken to be Dr. William Hite’s. 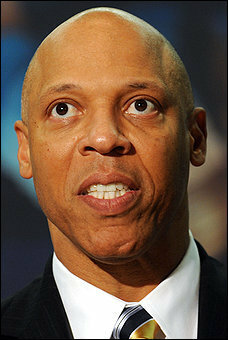 Briant Coleman is NOT Dr. William Hite’s spokesperson; he is supposed to be a ‘a spokes person for the school system’. PG County system has not given Briant Coleman any legal and constitutional authority to act as the superintendent of schools. The op-ed piece is Briant Coleman’s opinion. Therefore, as far as we can see, Dr. William Hite has not spoken on about Ms. Synthia Shilling’s tribulations at all. Subterfuge will not do. This is not what is expected of a Superintendent who wants us to compare him to modern leaders in the first world. He has failed in action and practice. Reform Sasscer Movement for Prince George’s County. LARGO STUDENTS TAKE A STAND. We see that Dr. William Hite Jr. has suddenly found a fondness and caring for children. He is appearing on every page in the website with children…. What’s next? Dr. William Hite as a Santa clause giving away Laptops and pencils to disadvantages kids in PG mall?? Please let the wishes come true. With children, a sharp departure from your past antics is most welcome. We applaud his reawaking and a new found central purpose and direction, like the Biblical Saul on his way to Damascus. Dr. William Hite Jr., we welcome you as a born again if you come clean and confess to your misdeeds, shortcomings and inappropriateness in the past. There is always a second chance and the second act. It’s not too late to repent. Dr. Hite, listen to the students of Largo High School. Stop the bullying by the administrators of underdogs. What’s next? You are looking good so far… (We hope this is genuine and not a gimmick) … One point for Hite and five points for the other side. It is still a long way to catch up. Keep it up! In recent days, Teachers, staff and students have seen some students being victimized at Largo – Laurel High Schools for expressing their thoughts on the current events involving some administrators. This is not fair to, Students who have been victimized for expressing their views. Children have rights too! Many of these students are aware of the adulterous relationship involving Mr. James Smallwood, – Assistant Principal and two teachers he supervised. (See the blog here). Many students observed and heard what appeared to be “noises of passion” coming from his office during and after work hours. The same thing applies to Principal Dwayne Jones and Ms. Debra Toppins who have been an item for years now creating a conflict of interest. The change in policy to suspend students who talk about these issues appears to emanate from the superintendent Hite and it’s misuse of policy to hold on to power. Similarly, William Hite’s desire to hold onto power has gone so far as to create AN OFFICE OF CONSTITUENT SERVICES, which happens to be nothing more than a political tool to spread propaganda to the citizens of Prince George’s County on how “Good Dr. William Hite Jr. is”. There are many other issues we have with Superintendent Hite among them is; scheduling of Board of Education meetings during the middle of the day at 1pm when most parents are working. Chasitating staff and students who voice issues of concern against the 1st amendment freedoms is another issue. This is dictatorship. We can do better! The NAACP has complained about the conflicts in scheduling of these meetings, but that too has fallen on deaf ears. We can do better! It appears as if Superintendent Hite has something to hide by scheduling these meetings at times to minimize concerned parents. The time has come to impeach William Hite EdD, a fight for the future of our kids and their education. In a county that has seen very few convictions for fraud or corruption before the beginning of our reform campaign; we are yet to see any actions from the county concerning these issues. Cases brought up by several employees will be heard in the Federal and Circuit Courts in the following weeks and months. It is our hope that by making such critical self-help information available to students, civil servants and publicly exposing state and county workplace injustices we can propel a CHANGE to improve the state and county government workplace culture. Wrongdoing within the state and county sector continues to impact public program administration fairness, safety and efficiency. Notably, the cost of discrimination to the public, the taxpayer, remains in the $100,000,000 millions of dollars. To better protect our citizens, we must protect our state and county workers and the students. For the state and county government’s treatment of its workers and students is inextricably linked to the quality of goods and services it renders to the public. Without question, employees who work for the state and county sector serve on America’s first line of defense with regard to protecting our state and the county. The announcement that Prince George’s County Public Schools (PGCPS) received National recognition for excellence in financial reporting is suspicious ploy. We truly believe it is a clever move to boost Superintendent William Hite’s ego in order to dupe the citizens of Prince George’s County. Only the devil knows why this information is being released now! We are sure that Dr. William Hite Jr. and his gang is involved in professional misconduct, corruption and nepotism. By creating these many clever moves at a time when we are demanding for accountability, he is trying to fool citizens in order to hold on to power. These aspects will never fly with any keen observer. Financial mismanagement and lack of accountability and transparency has been his trademark to date! Besides the corruption, many employees, stake holders and citizens of Prince George’s County are astounded by the many lawsuits brought up against the county public schools recently during his tenure. This is unprecedented in the History of PGCPS and it definitely shows there are problems within the school system. Read the story here by the Gazette Newspaper. Another story here by Washington post. Anyone who has been following the initial blog will agree that the second announcement regarding the financial reporting award only came after 7 days after publication of the second blog. This is problematic for parents who want to see proper reforms and tough changes in the school system in order to support students, teachers and administrators. Once again, Dr. William Hite Jr. wants to appear that he is doing a good job and that transparency and accountability are not an issue. We disagree with him! The problems in our school system are manmade. We demand a reputable external audit to make a proper assessment without any interference from Superintendent Hite and his staff. We have had enough with this PGCPS mess. Superintendent Hite for the most part is either playing golf or is out in the field doing other activities that are unrelated to the education of our children. This is not fair to those who are stakeholders and citizens of Prince George’s County interested in genuine reform. He is not a good superintendent because he is not doing the job we have hired him to do. Besides, he likes to cover up corruption! Therefore, he should resign as soon as possible. Before he begins to resign, a reporter or someone else needs to ask Superintendent Hite’s position on the reasons for introducing a dysfunctional online portal which is not even navigateable for the public to verify school contracts and other tenders online. Why can’t a big school system like PGCPS create an accountable and functional website, like other Districts, to show this? Is it time we started looking for a new webmaster? The current webmaster Mr. Max Pugh is over paid. He makes over $100,000 and he does not seem to have the technical know how on simple areas. We believe the use of unfair and dubious online processes without any challenge from anyone, including some Board members, is a cause for alarm. We have confirmed claims of some Directors receiving kickbacks in certain areas. This is not fair to the children of Prince George’s County Public Schools. The time for Dr. William Hite to go has come! Even though we want to see greater transparency and accountability, budget transparency is not a goal in itself. If a budget is built on distorted priorities, and if it does not represent all expenditure, then there may be room for corruption even though the budget data is available. Similarly, a budget that is transparent but not accurate will make public scrutiny impossible and again provide room for corruption. Furthermore, budget transparency is only useful in combination with budget timeliness and accessibility. If data is provided too late, or if information is not made available in a reader-friendly format, the public will not be able to monitor the budget process. Finally, a transparent budget will only be useful if effectively used by the public. Transparency and participation complement each other. Budget transparency has to be seen as one component of a broader framework of fiscal transparency and public expenditure management. Transparency should be a standard feature of a sound budget system that is built on realistic assumptions. Expenditure management should promote adherence to the budget and allow for public scrutiny. Right now, as things stand in PGCPS under William Hite Jr. EdD, this is not the case. Reform Sasscer Team 2011-12 Movement. The Reform Sasscer Team 2011-12 is a nationwide nonprofit movement dedicated to reforming Prince George’s County Public Schools (PGCPS) District system based out of Largo,Maryland. Our mission is to transform the school system into one that builds on the strengths of young people, families, and communities to ensure children are given the greatest opportunities to grow and thrive. In addition, we are committed to seeing proper reforms, transparency and accountability issues addressed for the benefit of the stakeholders as well as citizens of Prince George’s County. Boycott the Failing Prince George’s County Public Schools. (PGCPS). 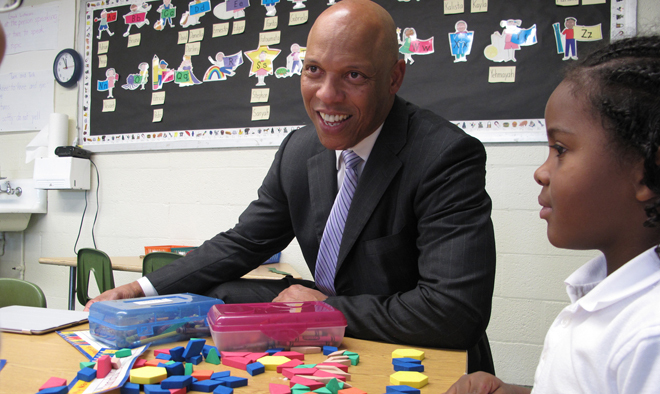 The announcement that Superintendent Dr. William Hite Jr. of Prince George’s County Public Schools (PGCPS) received a Directorship of National PTA Board of Directors is suspicious. We believe that this is a clever ploy to boost his ego after we published an initial blog. The announcement came four days after publication of the second blog. This is problematic for parents who want to see proper reforms and tough changes in the school system in order to support students, teachers and administrators. Dr. William Hite Jr. wants to appear that he is doing a good job. He sits on several boards but he does not have enough time to do what he was hired to do. Most of the time he is either playing golf or is out in the field doing other activities that are unrelated to the education of our children. This is not fair to those who are stakeholders and citizens of Prince George’s County. He is not a good superintendent becasue he is not doing the job we have hired him to do. Therefore, he should resign as soon as possible. Before you decide whether to support the proposed November 4th, 2011 boycott of PGCPS, by not sending your child to school that day, first understand the issues facing these parents. PGCPS has an approximate graduation rate of 50%. Shockingly this is not the problem facing parents. The real problem is that 179 schools are rated as PLA. PLA is a rating given to schools that have persistently breached the public trust and that have completely failed to educate the students who attend them. PLA rated schools have less than a 50% graduation rate. Infact, these schools are factored in with the twenty other non- PLA schools, such as County Honors, to give PGCPS its 50% graduation rate. Note that PGCPS is the second worst performing school District in the whole state of Maryland, barely above Baltimore City public schools. The problem for many parents, particularly those with lower incomes, is that they must send their children to a PLA school where the child will receive an inadequate education. When these parents send their children to a PLA school, they face the stark reality that their children are set up to fail. This problem is not a recent issue. These schools have failed several generations of students. Year after year these parents are told that something is being done to address this failure, and they are given a list of what will be done. Yet, the failure persists with no consequence to those accountable for this failure. 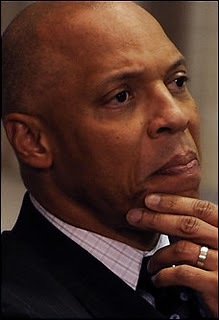 The issue has gotten worse under Superintendent Hite. Recently, Dr. William Hite Jr., put up a questionable editorial (you can read it here) that claims tremendous progress was achieved last year. This is contrary to the investigative reports done by the Gazette newspaper. (Read the report here). 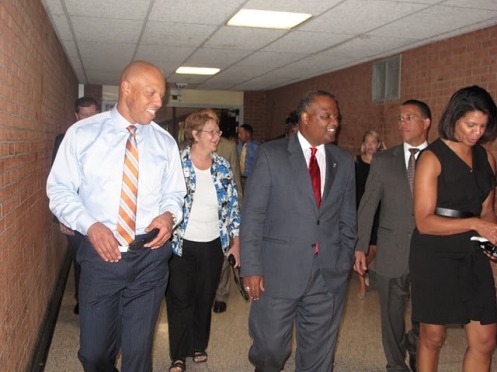 During the budget process hearings this past spring, we attended a board meeting that was coordinated by Superintendent Hite where he undermined several elected officials including senators and delegates, clandestinely, because they dared question his work ethic. We found out that Superintendent Hite controls almost all the board members. When the chair of the Board finally called for a vote to confirm the issues following presentations on the PLA problem by the PGCPS Superintendent Hites, they passed the budget without much questioning of his decision. Local leaders and an auditorium filled with more than 100 Prince George’s County parents were astonished. The turning point at this meeting for us was when Superintendent Hite suggested that parents are expecting too much and they should settle for children that do not always graduate but rather the standard should be that they are able to pass a GED test. Hite actually proposed at the meeting to change the standard from expecting their child to graduate to minimally expecting their children be able to pass a GED test and be work force ready. Hite is the one primarily accountable for setting the educational standard and developing the plan to address the PLA crises. These parents’ children are currently trapped in a school system that is led by a person that proposes setting low expectations and does not expect the system to succeed or improve. Whether you are located in the PGCPS or outside of this area, consider providing support to these parents and the PGCPS’s bold move to boycott. The boycott is the first step in sending the message that without the children there is no PGCPS and that these parents do have power. They should expect real corrective and preventive action. The time for talk and playing the blame game is over. Parents are vital in the process of reviewing and approving the plan that is proposed and acted on. The Prince George’s County Council has the power to provide oversight to the Board of Education Budget and to ask tough questions following massive corruption unmasked recently. There must be accountability and transparency without much delay! A rally will be held in front of PRINCE GEORGE’S COUNTY ADMINISTRATION BUILDING in Upper Marlboro at noon in the near future (check back here for the date)– be there!